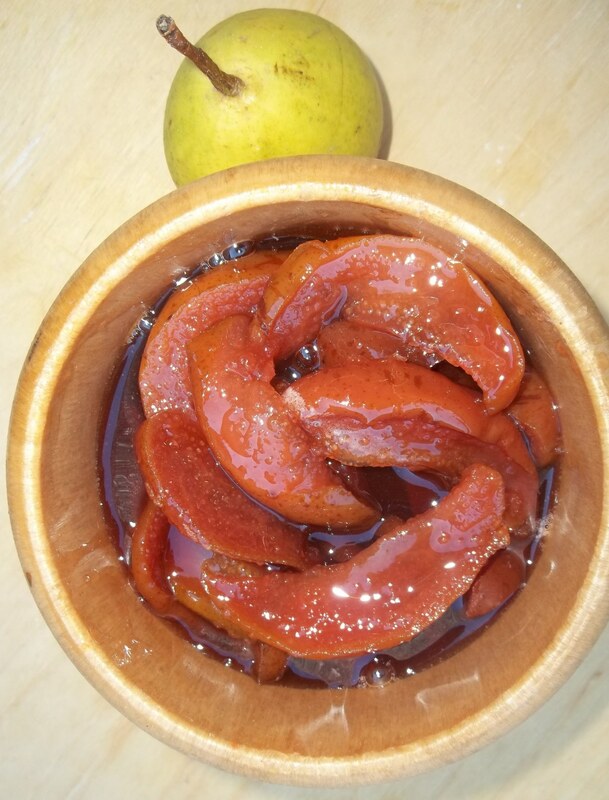 Pear Muraba is a delicious preserve made with pears and sugar and flavored with cloves and vanilla. 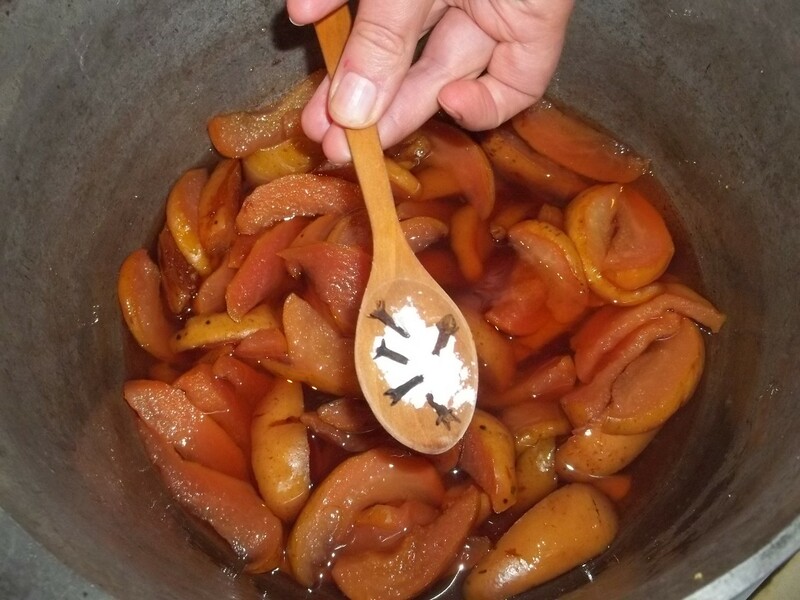 It is eaten as a dessert and can be used as an ingredient in cakes. 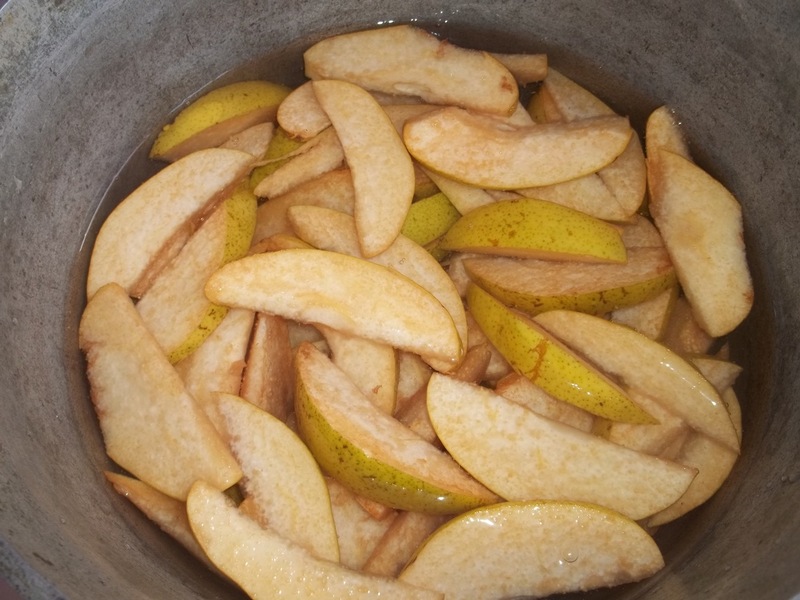 Ingredients: 2 kilos of firm pears (not over ripe), 1.5 kilos of sugar, 5 cloves, a third of a tsp of vanilla powder and 1.5 liters of water. 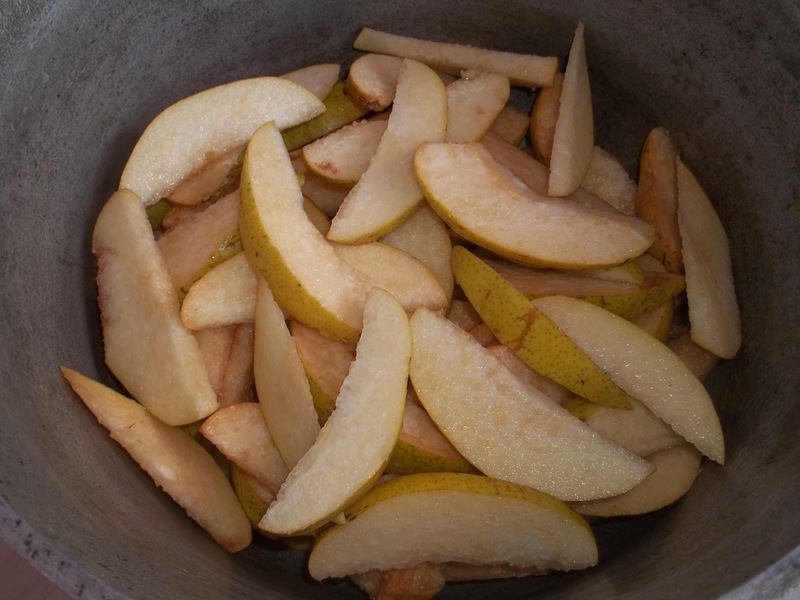 Preparation: Slice the pears (remove skin if you prefer), remove and discard the hard center and seeds and add the pear slices to a deep pot. Add 1.5 liters of water. Bring to the boil and continue to cook on a medium temperature for 30 minutes. 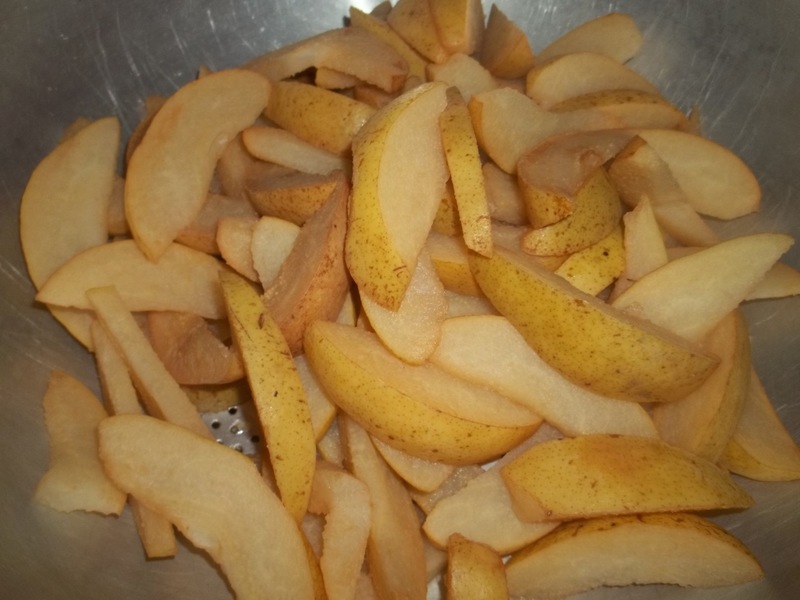 Use a colander to drain the juice from the cooked pears into a bowl. 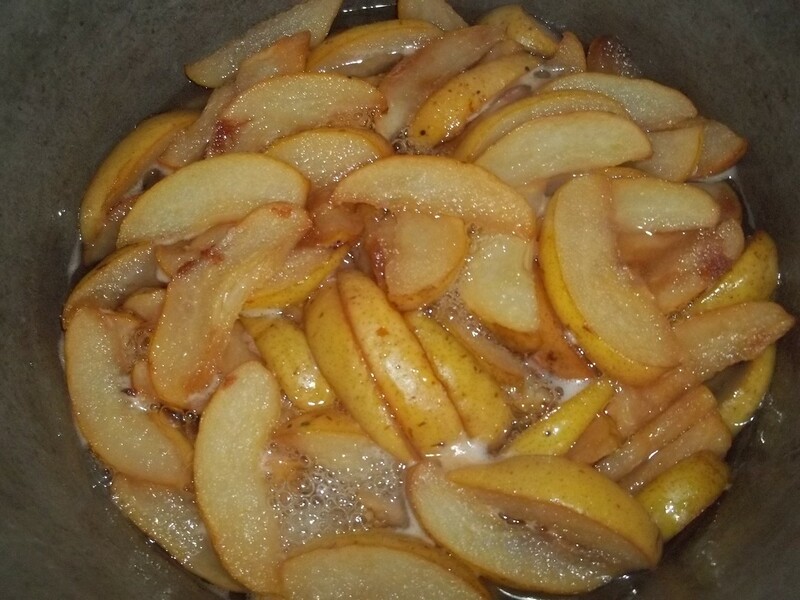 Leave the cooked pears in the colander for 15 minutes. Measure out 400 ml of the cooked pear juice and add to a pot. 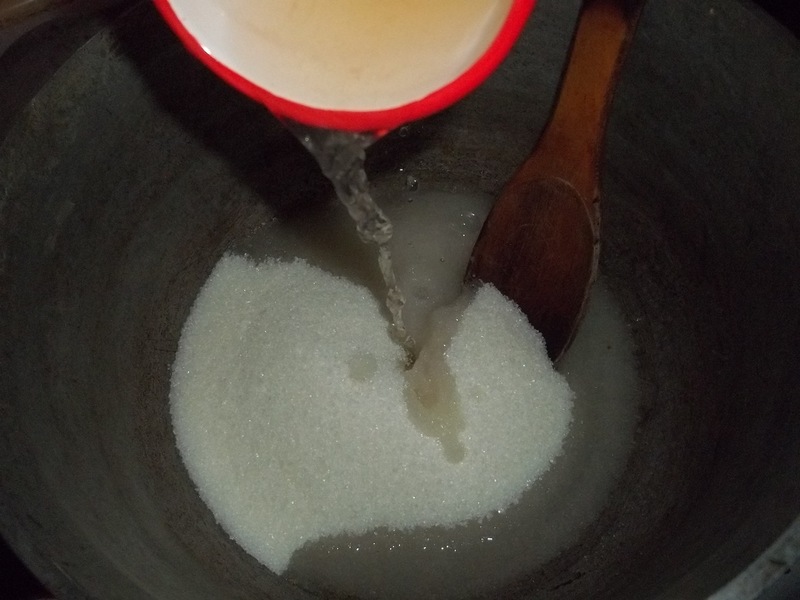 Add 1.5 kilos of sugar to the juice and cook on a very low temperature for around 10 minutes, until all of the sugar has dissolved and the juice has thickened. 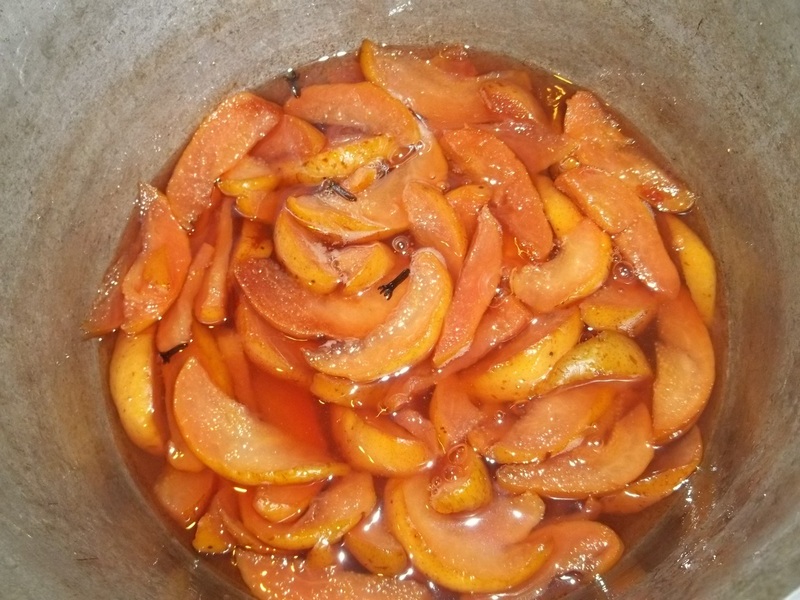 Add the pear slices to the pot of juice/sugar mixture. Bring to the boil and allow to simmer on a very low temperature for 3 hours. 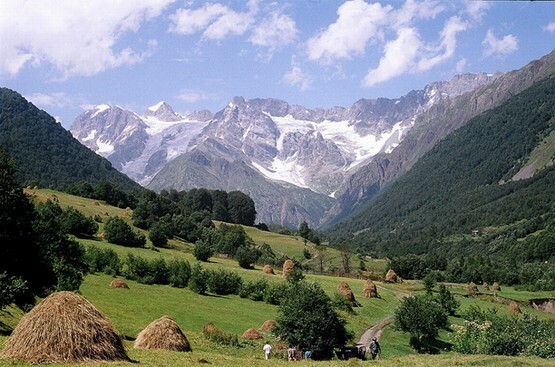 Turn off the heat and allow to stand for 3 hours. Add the cloves and vanilla powder. Stir and cook on a low temperature for 30 minutes. 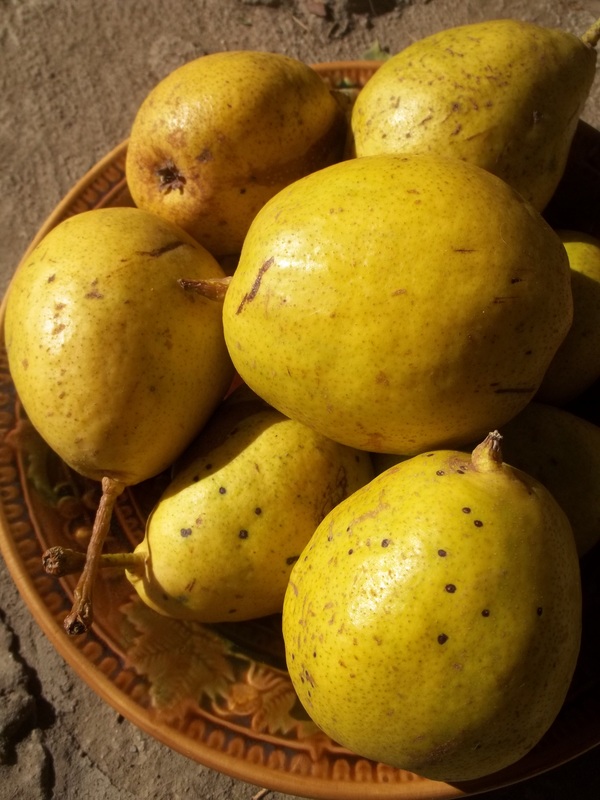 The pears will turn a reddish color. Turn off the heat and allow to stand overnight. In the morning, bring to the boil and allow to simmer on a low temperature for 30 minutes. 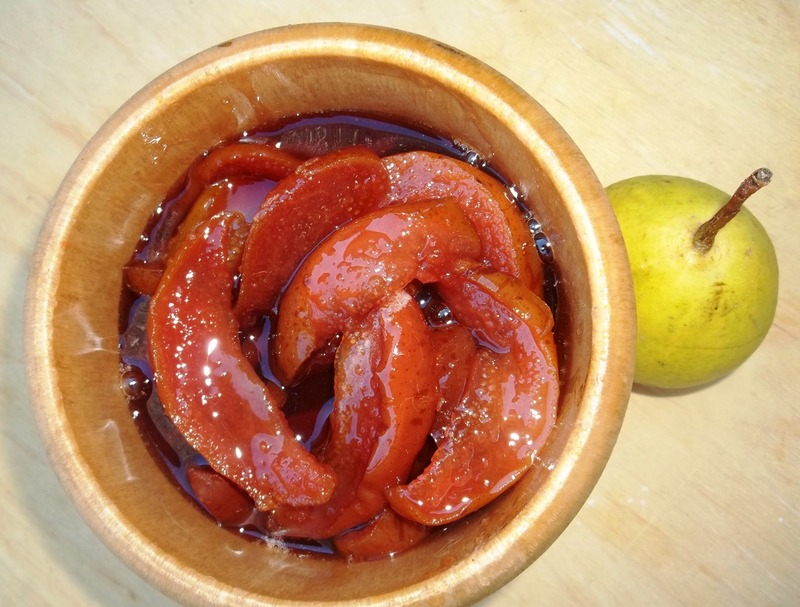 When cooked, bottle the pear muraba in airtight jars and store in a refrigerator or a dark, cool place. Serving: Serve as a dessert.